Kilgore Primary School Head Start and Pre-K in Kilgore, Texas, included the ReadyRosie letter, under Resources, in their report card sleeve to get the last few parents to accept the ReadyRosie invitation. 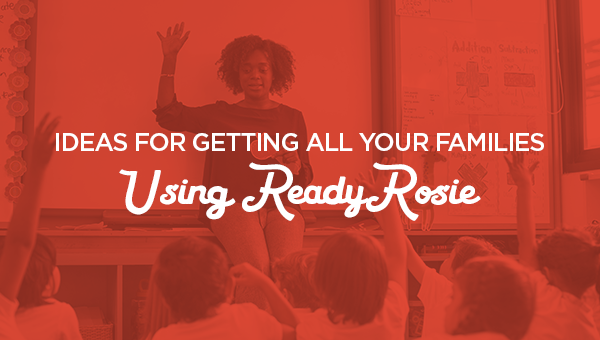 Amy Martindale at Henrie Elementary School in Mesquite, Texas, used her data at parent conferences to both encourage more ReadyRosie usage and to inspire the last few families to begin using ReadyRosie. Great ideas from great teachers!